This quick play Trivial Pursuit® game can be played on the go with its portable wedge holder. The 600 questions range in difficulty levels so even the expert wizards will be challenged! 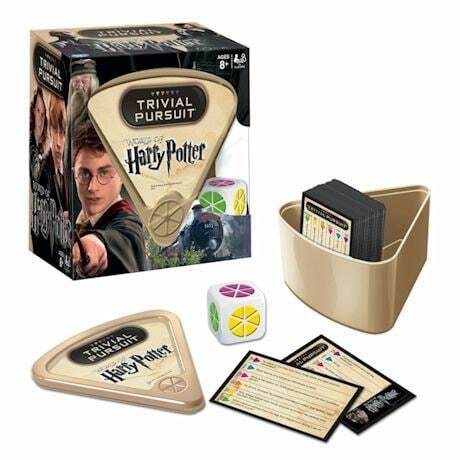 Trivia categories include: The Dark Arts, Hogwarts™, Magical Spells & Potions and more! Paper, plastic & metal.